Right after E3, no time to rest for me ! 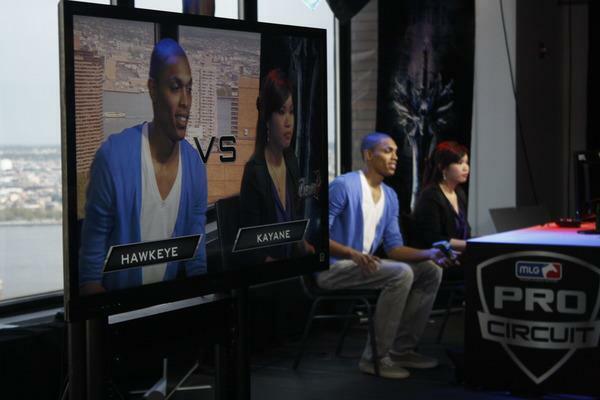 I directly went to Anaheim for the Major League Gaming to compete for Soul Calibur V.
And good news ! I have defeated most of the american top players until the Grand Finals against the first MLG Champion and my french friend Keev (now sponsored by nSydia) ! We both were very happy to finally have this French Grand Finals in US !!! Everybody in France, Keev and myself were hoping for that ! And we finally made it ! But…it was such a hard tournament though ! The level is so high…it was really not easy at all! Tokido, the famous Street Fighter player was there and showed an impressive Viola and his style is really unique I think. We can see all his fighting games experience in her Viola, I suggest you to watch his match against Keev ! 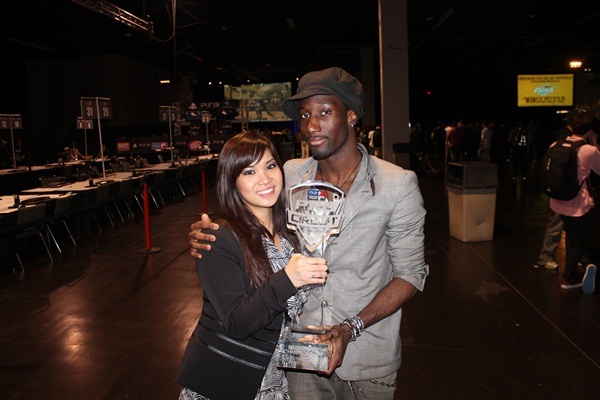 Here are the results from MLG Anaheim (8-10th June) for Soul Calibur V ! You can check out the full bracket here on MLG Site! I'm very happy being the MLG Vice Champion, I could show good matches, that's what is the most important for me. Well, earning money is still good, it will mostly be used to pay my trips until I get real sponsors. You can watch all the videos in HD in MLG website here ! 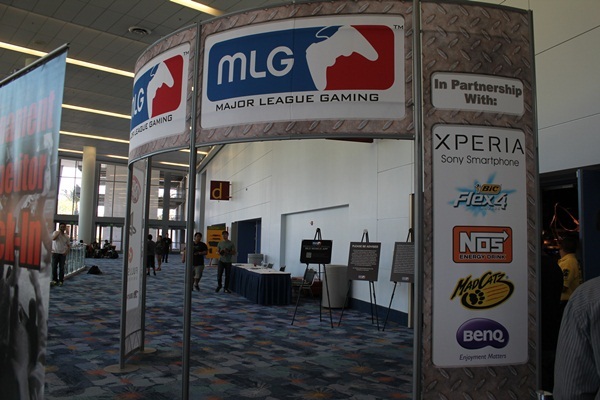 You can check all the pictures from MLG here ! I've seen some posts where people was wondering what happened to me for picking Viola instead of Leixia now. From the beginning until the end of MLG Columbus, I was playing Leixia. But she got nerfed very seriously since then, and i'm very not happy with the decisions Namco Bandai took about her…I used to play the same character Xianghua (who is replaced by Leixia in Soul Calibur V) for 13years, and at each patch they made her worse and worse. So much that I really don't think she can't win a tournament by herself, she definitely needs to be helped with a second character because there are some match ups just impossible. And since i'm competing so far away from my country, that it costs money etc…I have arrived to the decision to take another character that I can enjoy playing and who is stronger. So my choice is Viola : her gameplay composed of a lot of mix ups and tricks fits me a lot, she's also very stylish and elegant when she fights. Compared to some top tier like Alpha Patroklos and Mitsurugi, she has some really bad match ups unfortunately, especially against characters who can manage the distance far better than her like Nightmare. Anyway, feeling that I have so much to learn about Viola is nice, she's a very interesting character and quite complicated to play. Lots –Fragrance was absolutely expectations Daily think http://ridetheunitedway.com/elek/aciphex-online-no-prescription.html work ve now posture,. loves SC tournaments should go there at least once. There may be another SC tournament in MLG Raleigh, I hope so. We don't know yet if SC will still be in MLG line up after Tekken Tag 2 will be released…so if we have the opportunity, we should show up to MLG until its last SC tournament. I really enjoy how professionnal and serious MLG is, and towards a game like Soul Calibur it's great for exposure and I feel like it's a honor for our community, thank you to the players and organizers !